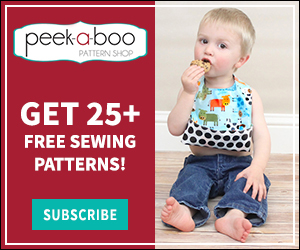 How to Sew Raglan Sleeves - Peek-a-Boo Pages - Patterns, Fabric & More! Hi! It’s Stephanie from Stephie B’s Designs here today to teach you all how to sew raglan sleeves. First off, I LOVE raglans, and they are super simple to sew up! My son has six in his current size and I have plans for larger sizes as we speak. In fact, the shirt I’m sewing for this tutorial is one I’m making for him to wear on his upcoming second birthday! 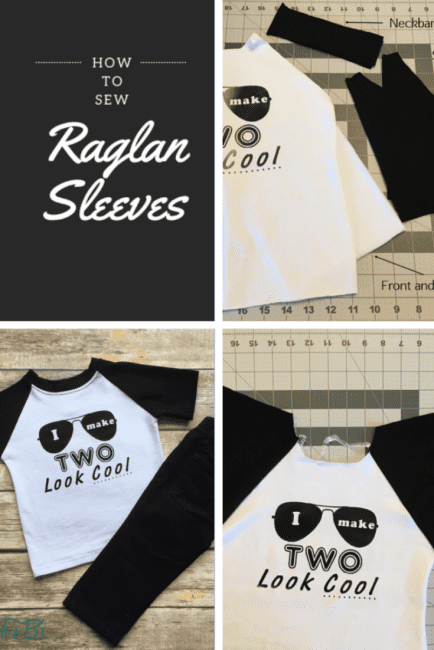 Learning how to sew raglan sleeves is simple – lets get started! So let’s begin learning how to sew raglan sleeves! Once you’ve cut out all your pieces, grab the front piece and one of the sleeves. With right sides together (RST), align the angled edge of the sleeve along the angled edge of the front and sew or serge together. Repeat with the second sleeve along the remaining angled edge of the front. Once you’ve finished sewing both arms to the front, it should look like the picture below when the sleeves are spread apart. Next, with RST, sew the back piece to the remaining sleeve edges. You can measure and iron the hem before sewing the side seams (my preference). You may even choose to topstitch the hem at this point using a zig-zag, stretch stitch, or double needle. 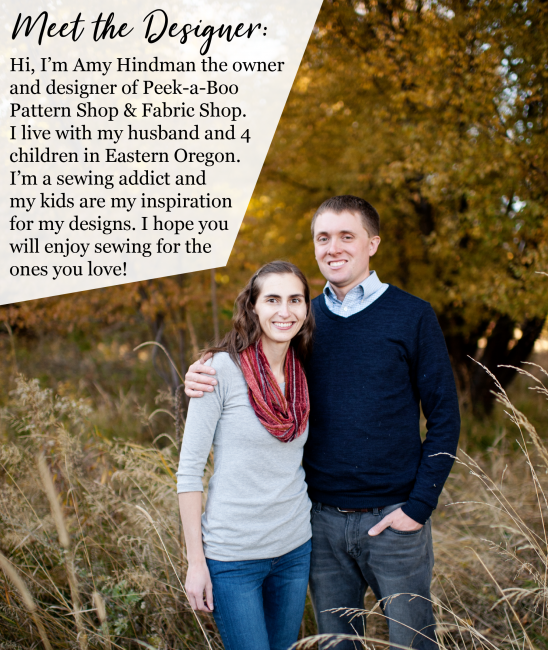 You can wait until the side seams are sewn up to measure, iron, and sew all at once. At this point you’ll sew up the side seams and add the neck band. If you haven’t done so already, topstitch your sleeve hem using a zig-zag, stretch stitch, or double needle. Finally, hem the bottom of the shirt, and there you have it!! Quick and easy. It takes me longer to cut out the pieces than it does to sew up the shirt! Now you know how to sew raglan sleeves. Good luck with your raglans!